Ebola Pandemic Coming to America? The posting of this article is meant to bring a slightly different perspective on the earlier post entitled "The Monsanto Sponsored Ebola Vaccine Will Kill More People Than the Ebola Itself" -W.E. Speculation has been rampant about the threat to America from the West African Ebola outbreak that has infected at lease 1,300 and killed 887 people to date, including one American. Initial outbreaks in Sierra Leone, Guinea and Liberia have now spread to Nigeria with a second confirmed case – a doctor who treated the now dead American. Eight other Nigerians are quarantined with three showing symptoms. A Liberian died recently in Morocco, a suspected case has been reported in the Philippines, and now a man with Ebola symptoms who recently traveled to one of the affected West African countries has been isolated at Mt. Sinai Hospital in New York City and is being tested for the illness. Speculation was further fueled upon the announcement that two other Americans infected with the disease would be coming home for treatment. One, Dr. Kent Brantly, has been here since Saturday – at a special isolation unit in Georgia’s Emory University Hospital – and appears to be recovering. The other, Nancy Writebol, a missionary reported to be “in serious but stable condition,” will be coming to the same facility Tuesday. Brantly received blood transfusions from a West African boy who recovered fully, and Writebol received an experimental serum. Researchers have had some success with experimental treatments in animal experiments, and the serum given to Writebol appears to be working. CDC claims a vaccine will be tested in humans soon but there is none to date and the virus is 60 – 90 percent fatal. So is there a pandemic threat? Other experts say that while Ebola is deadly, it is not spread easily, requiring direct contact with bodily fluids for infection to occur. American doctors, they say would contain any outbreak quickly. So why is it spreading so fast in Africa? 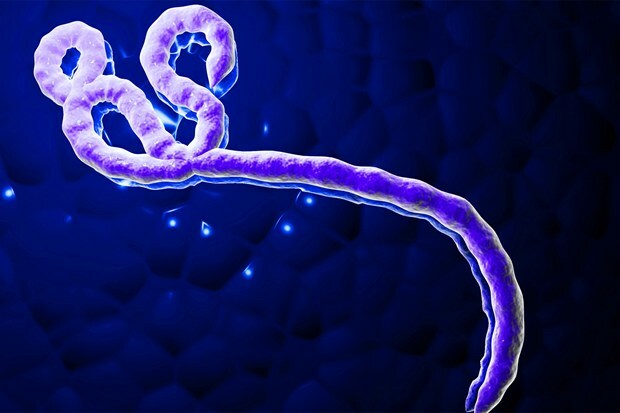 In a video interview last month, former Border Patrol agent Zachary Taylor created a sensation when he claimed that unlike prior Ebola outbreaks that moved from the jungle into populated areas, this time it started in the centers of African cities – suggesting this was bio warfare. However, he provides no evidence to back his assertions. Workers and officials, blamed by panicked populations for spreading the virus, have been threatened with knives, stones and machetes, their vehicles sometimes surrounded by hostile mobs. Log barriers across narrow dirt roads block medical teams from reaching villages where the virus is suspected. Sick and dead villagers, cut off from help, are infecting others. Taylor furthermore asserted that the border crisis is “asymmetric warfare” – a diversion. He says the Border Patrol is only catching 10 percent of the illegal aliens, and while we focus on “the children,” a mere 1 – 2 percent according to Taylor, others are bringing in the tools to kill us. Does that include Ebola? He is certainly correct that focus on “the children” is a diversion. Most of the unaccompanied alien “children” (UAC) are actually teenage boys 15 -17, and they only represent 1/5th of those caught. There have been 50,000 plus UACs apprehended, but also another 240,000 who are either not unaccompanied or are adults. The media has studiously overlooked this fact. If Taylor is correct that only 10 percent are caught, that would mean as many as 2 million additional illegal border crossers are getting through. In a fact-finding trip to the border however, Maryland Sheriff Chuck Jenkins reported that the Border Patrol believes they catch upwards of 70 percent of border crossers. Still, that means they are missing over 100,000. Dave Hodges of the Common Sense Show asserts that “the arrival of Ebola through our southern border has already happened or is imminent.” He interviewed Dr. Jane Orient, who quoted unnamed Border Patrol agents saying as many as 100,000 Africans are among those penetrating our southern border. Hodges says the Africans are coming here as part of a new, emerging drug-trafficking operation emanating from Western Africa. They even have learned Spanish to blend in with the Latinos coming across. Still, suggesting 100,000 border crossers are all from West Africa is almost certainly way overstated, but some West Africans are penetrating the border. Brandon Darby at Breitbart News today published a leaked “Official Use Only” Customs & Border Protection (CBP) document that lists the country of origin of every single person apprehended at the border by CBP from 2010 – 2014. In 2014, 81 West Africans from the three major outbreak countries of Guinea (31), Sierra Leone (22) and Liberia (28) have been caught or turned themselves in. The report also identified Nigeria as making the list of the top five “Third Country Nationals,” with 28 TCNs apprehended during the week of 7/14/2013 – 7/20-/2014. Statistics from Inspections and Customs Enforcement (ICE) are not included in this report, but my sources have not reported finding any Africans at all. A Federal Law Enforcement Training Center (FLETC) facility in Artesia, New Mexico used to house illegals has been locked down following an outbreak of Chicken Pox. A week earlier, the same facility, found 89 of its 603 detainees who tested positive for tuberculosis, though none had contracted the disease. Reported infections among illegals include chicken pox, TB, swine flu, pneumonia, other respiratory illnesses and epidemics of scabies and lice. A DHS Office of Inspector General report states that border agents and their families are contracting the diseases and parasites brought in by illegals. A Border agent and others in Texas have contracted TB. In 2003, section (b) was specifically added to address Severe Acute Respiratory Syndrome (SARS), but since that disease is not now considered a threat, the order has been revised. Diseases contemplated in this section are not named, however, section (a), which predated President Obama, does list other illnesses not covered in (b). These include: Cholera; Diphtheria; infectious Tuberculosis; Plague; Smallpox; Yellow Fever; and Viral Hemorrhagic Fevers (Lassa, Marburg, Ebola, Crimean-Congo, South American, and others not yet isolated or named). Some writers have expressed concern with the wording “apprehension, detention or conditional release,” given the current crisis, but that language is actually part of the original executive order signed by President Reagan in 1983. So is Obama hiding something? Undoubtedly but probably not about Ebola. Could illegal West African aliens cause a deadly epidemic? Doubtless they could infect and kill those traveling with them and any border or health official who unknowingly interacted or treated them. So there is reason for serious concern, especially by those charged with protecting our borders. Even though numerous health officials have said that fears of an epidemic in the U.S. are overblown, a healthy dose of caution advises that the situation be monitored closely. Unless and until President Obama takes his Constitutional responsibility to protect and defend our borders seriously, he and his serially irresponsible administration are leaving our nation and its citizens open to every form of danger. The fact that an outbreak might not lead to an epidemic would be grim consolation to those families who lost loved ones just because this President refused to do his job. James Simpson telephone interview with Frederick County Sheriff Chuck Jenknis, July 24, 2014.